LG has a nicely designed smartphone in its lineup with the 4.5-inch Leon LGH340N. LG proves that a low price does not have to exclude a decent total performance with its LGH340N. The LG Leon's bland grey plastic design just doesn't feel or look as good as the customisable 2nd Gen Moto E. The Leon is noticeably slimmer, but its sharper corners just aren't as comfortable in the hand. Likewise, the Moto E's side buttons are much easier to find than the Leon's rear power and volume keys. Combined with its poor screen, the Leon just doesn't quite measure up. Every day, we search through thousands of tariffs and offers from UK online retailers to find the best LG Leon deals and contracts across a selection of price points and needs. 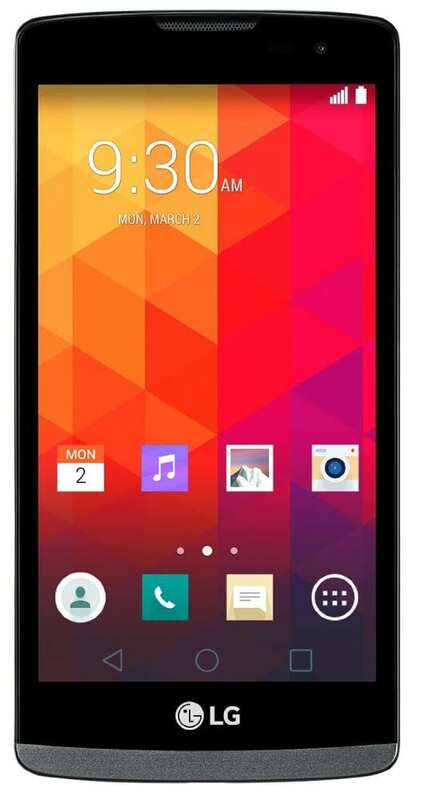 Select 'Pay Monthly' if you're looking to get the LG Leon as part of a monthly contract with minutes, data and texts. Alternatively, choose 'No Contract' if you prefer to buy the LG Leon SIM Free or on Pay as You Go. Finding the perfect deal is easy. Just use the sliders to filter tariffs for minutes, data, monthly cost and upfront cost. You can also filter by network and retailer to find the best LG Leon deal for you! The cheapest contract price in this category is cheaper than buying the LG Leon SIM Free and a comparable SIM Only tariff by . You could save on the cheapest contract price in this category by buying the LG Leon SIM Free and a comparable SIM Only tariff separately.